Here's a video of the French-dubbed movie. 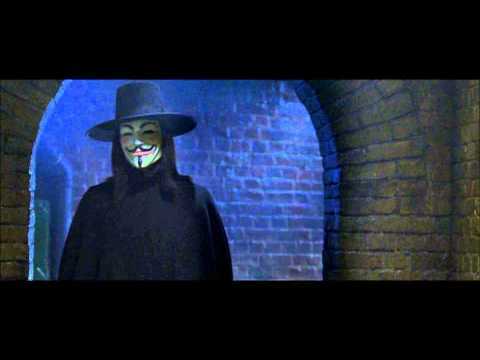 The introduction scene, from 2:28 to 3:54, for the character of V features one of the best alliterative monologues ever. You'll find the transcript of this scene below - click any phrase to read the English and find links to related French grammar lessons.